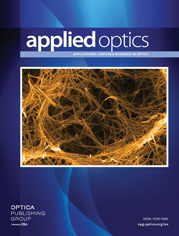 The authors are with Stanford University, Edward L. Ginzton Laboratory, Stanford, California 94305-4085. A new algorithm for extracting amplitude and phase information from the data collected by the Mirau correlation microscope is presented. The accuracy of the phase measurements is first determined by measuring phase steps and vertical resolutions in the nanometer range. Experimental results with metal gratings show good agreement with Fourier theory. An inverse filter is then used to improve the resolution of the system. The filtered image has sharper edges and better phase contrast.